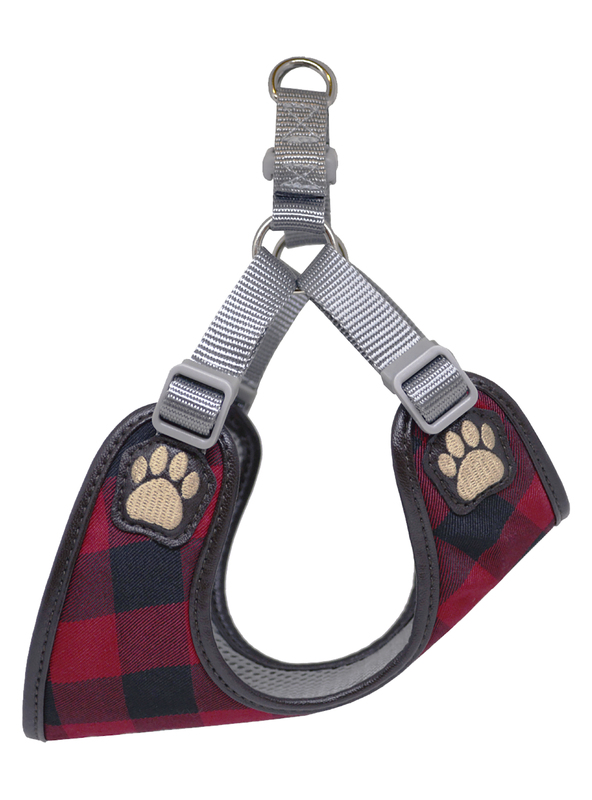 The Buffalo Check harness’ overall design concept is inspired by lumberjacks, who wore it as woolen shirts in the nearby woods at the Woolrich mill at Chatham’s Run in Pennsylvania around the 1850s. 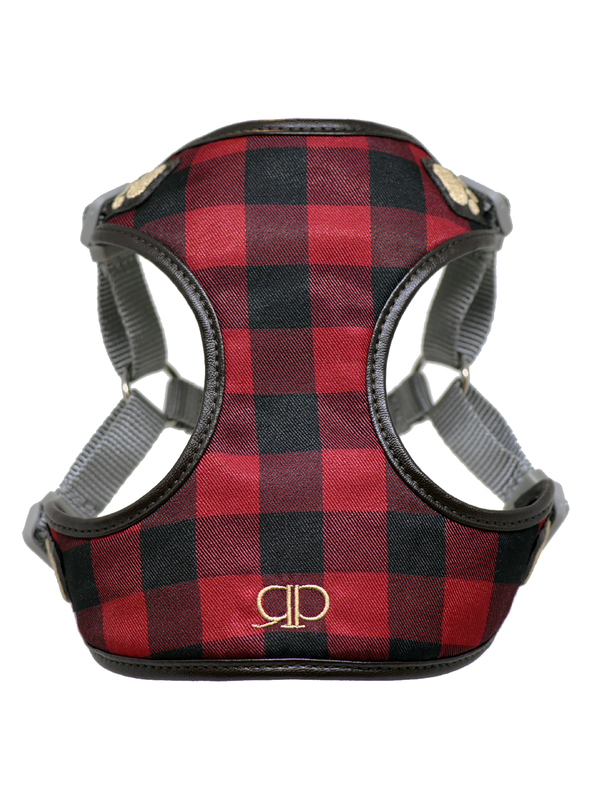 This particular fabric is composed of a high thread count integrated within the red and black checkered material making it not only durable, but also breathable and very comfortable due to the cotton fibers. 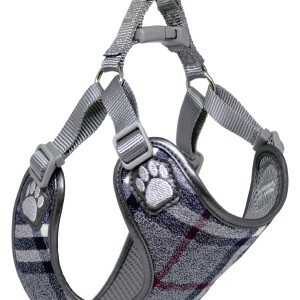 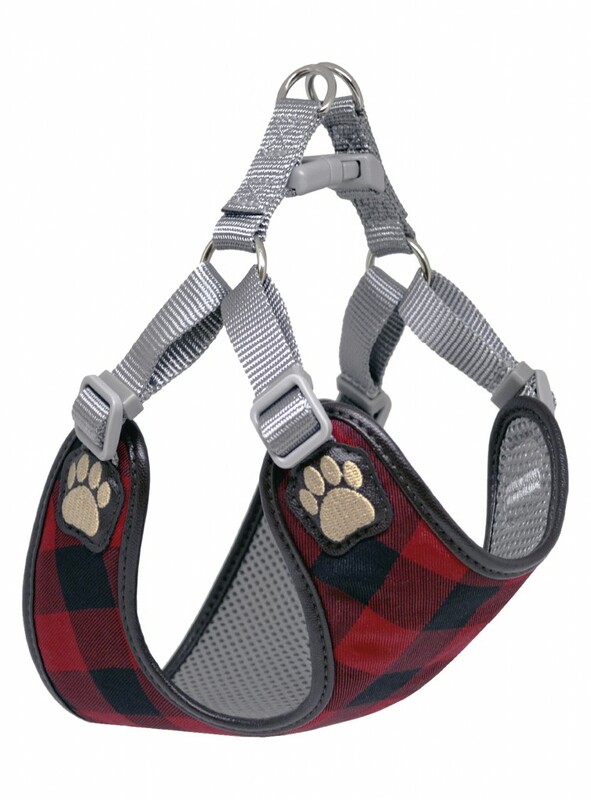 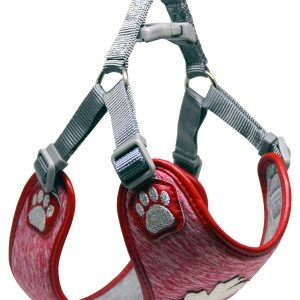 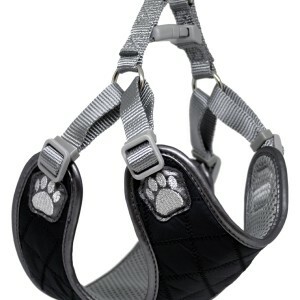 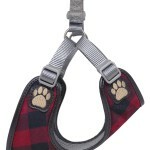 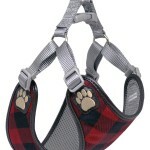 In addition, the harness is accented with beige embroidery similar to the inside wood of trees while the dark bark outer ribbing color stems from the wooded forest. 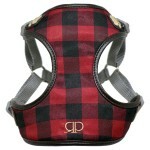 This plaid pattern is also known as the “Rob Roy”, which originated in Scotland and was named the Buffalo Check, which entered the French language as echec in the 11th century and is derived from the ancient Persian language word shah, meaning “king”, which gives the perfect name for the Alpha Dog.